This post is a vital one for all the Office 365 Administrators and I believe most of you would have already know about this topic and if not then this is the right time to know and utilize the same for Managing Office 365 Environment effectively with the help of PowerShell. PowerShell is not new for Administrators as it has become their part of everyday life, where we work with it at least once a day whether it is for a smaller requirement or a complex one. I have written few posts on PowerShell with reference articles and E-books available around the community to give you a strong Idea on the topic and to acquire adequate knowledge to work with PowerShell and manage the Environment effectively at ease. You can refer them here to begin. If you are an Office 365 Administrator and your Organization is using all the three services Exchange, Lync , SharePoint Online then you are lucky that you will get the chance to work with all these three products and most of your work will for sure rely on Remote PowerShell. and to make this ease this guide will help. If you are a Hybrid Customer then you are even more Lucky that you will work on both On premises and Cloud seamlessly. 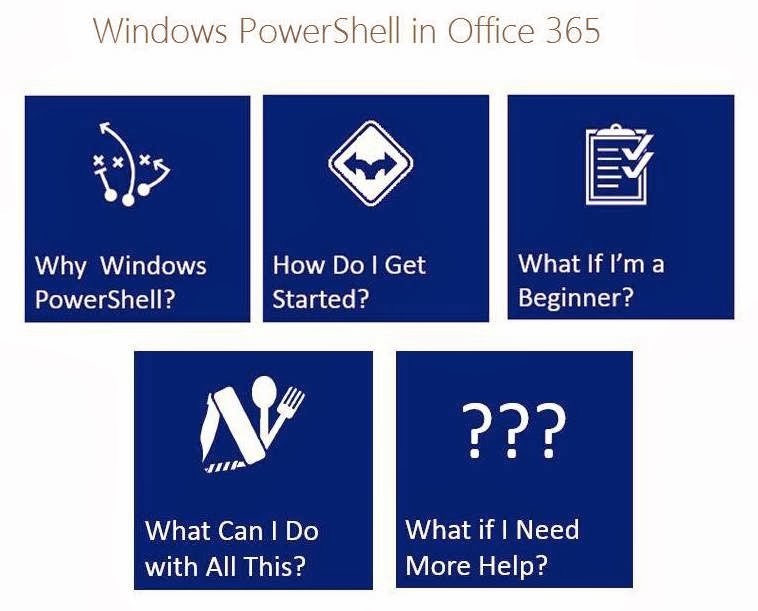 Microsoft team published a Guided TechNet post by the end of Last year which acts as a Resource Center containing all the major topics required for managing the Office 365 Environment with PowerShell and it covers wide range of topics from the Basic level to the Advanced. Additionally review the below TechNet post to know the advantages of using Powershell to manage Office365.